With the Potomac Nationals (High A; Carolina League) pursuing a new Fredericksburg ballpark, Prince William County officials will explore options for filling the team’s Northwest Federal Field at Pfitzner Stadium. The P-Nats have sought a new ballpark for years to replace Woodbridge’s Northwest Federal Field at Pfitzner Stadium, and are now working on a move to Fredericksburg, VA. That effort took a step forward last week, when the Fredericksburg City Council approved a letter of intent with P-Nats ownership on plans for a new $35 million ballpark. The vote did not finalize a move of the team or a new ballpark, instead triggering a 120-day review period, but allows discussions between the two sides to move forward. The county has already heard from an independent league baseball team that is interested in Prince William, but the RFI would officially seek notions of what could come to Pfitzner, whether it be a baseball team or another kind of sports franchise. An independent league team is similar to a Minor-League team but is not affiliated with Major League Baseball. 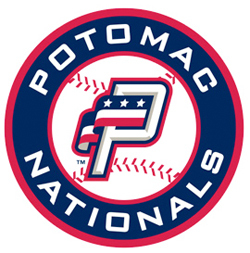 The P-Nats are an affiliate of the Washington Nationals. Board Chairman Corey Stewart, who called for the RFI, said it’s most likely that a baseball team would want to come to the county because there’s an established market for the sport here. If the proposed Fredericksburg ballpark is approved at the conclusion of the review period, the team and the city will work to open it in time for the 2020 season. The P-Nats have played at Northwest Federal Field at Pfitzner Stadium since 1984, when they were known as the Prince William Pirates.